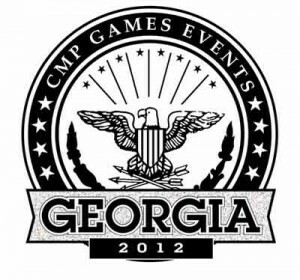 The Civilian Marksmanship Program is pleased to announce the addition of the CMP Georgia Games to its 2012 firearms safety and marksmanship calendar of events. At least for 2012, the four-day event is an abbreviated version of CMP’s Eastern (N. Carolina) and Western (Arizona) Games plus the recently added CMP Oklahoma Games, 12-15 April. “We are very excited about adding the CMP Georgia Games to our schedule of popular regional games matches and events,” said Christie Sewell, CMP’s programs general manager. The event is being held at the American International Marksmanship Academy in Blakely, Georgia, which is located about midway between Fort Benning and Tallahassee, Florida, and by car is a few hours from both Birmingham and Atlanta. AIM Academy was originated in 2010 on 2,300 acres in rural Georgia. The academy’s complex, which features training and recreational marksmanship opportunities to the military, law enforcement and civilians, includes a 1,200-yard highpower range on which the CMP matches will be fired. The CMP Georgia Games will include a new shooter clinic, three Garand-Springfield-Military rifle matches, a Vintage Sniper Rifle team match, an EIC as-issued M1 Garand match and an M1 Carbine match. The event will also include a barbecue on Day 3 and awards presentations on days 3 and 4. See schedule below. This entry was posted in Recommended Organizations, Shooting Events and tagged civilian marksmanship program, cmp georgia games, georgia games, shooting events. Bookmark the permalink.